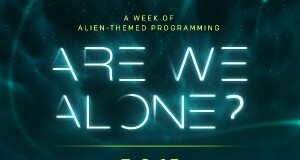 Home / Articles / Did Buzz Aldrin see a UFO on his way to the Moon? “There was something out there that, uh, was close enough to be observed and what could it be?" Did Buzz Aldrin see a UFO on his way to the Moon? In an interview on the Science Channel in 2005, Apollo astronaut “Buzz” Aldrin said that the crew of the famous Apollo 11 mission had seen a UFO on their way to the moon. However, later Aldrin would say that his words were taken out of context, even though his story was supported on the program by senior Apollo 11 scientist, Dr. David Baker. Aldrin has also made other strange statements that some believe allude to Aldrin knowing more about an extraterrestrial presence in space than he would like to share. 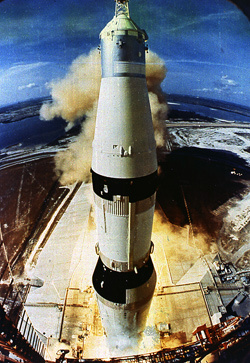 The S-IVB was the first stage of the rocket taking their capsule out into space; it had been jettisoned 2 days prior. Mission control had responded that the S-IVB was 6000 nautical miles away. Aldrin said that because of the distance, they had decided that the object they were looking at was not the S-IVB, but something closer. 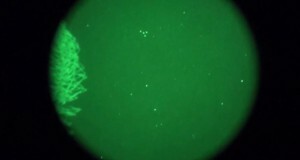 They continued to observe the object until they fell asleep, but did not discuss it over the radio with mission command again until their debriefing when they got back home. 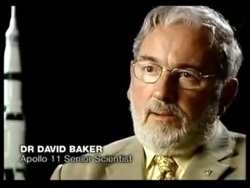 Dr. David Baker on the Science Channel special (Credit: Science Channel). Aldrin appeared on Larry King in August of 2007 with ufologists and skeptics to talk further about this sighting. After a long explanation about rocketry, which he brought a model along to help demonstrate, King finally had to ask him to get to the point. Aldrin then gave a similar explanation that he had given Morrison. He said that he believes what they saw was probably one of those panels. Among the guests on the Larry King show was documentary maker James Fox. He has his own interesting story about his attempt to interview Aldrin on this issue. On a recent interview with Open Minds radio, Fox told us the story of how he had found out about Aldrin’s UFO sighting, and his attempted interview with Aldrin to get the details. Fox played as an extra on the set of Mickey Rooney’s The Legend of O.B. Taggart. While talking with Mickey and Jan Rooney, Fox’s interest in UFOs was brought up, he feared that they would tease him but instead seemed very interested. They even told Fox that they were friends with Buzz Aldrin and that he had something to share about a sighting he had. Fortunately, Fox happened to also be friends with Aldrin’s sister, Fay Ann Potter. So with the help of Potter and the Rooney’s, who all sent Aldrin letters on Fox’s behalf, after a few years of making requests, Aldrin finally granted an interview in 1999. Aldrin told Fox to meet him in Monte Carlo, so Fox borrowed some funds to gather a crew and equipment to take to Monte Carlo. Unfortunately, after Fox and his crew arrived, Aldrin kept putting off the interview. 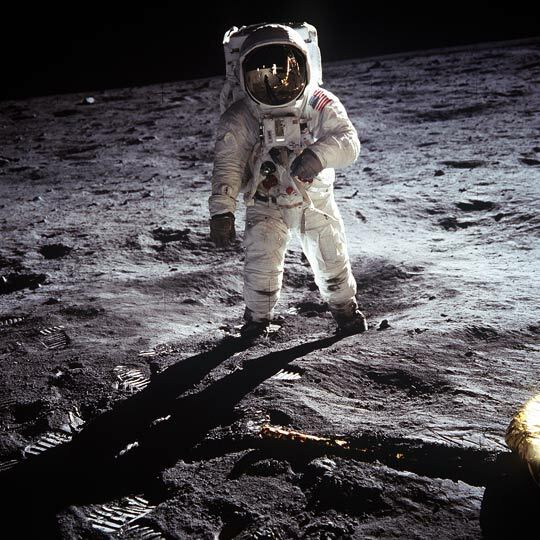 Finally on the fourth day, Fox contacted Aldrin on the phone and explained that it was expensive to have this crew out there so he needed to get the interview done as soon as possible. Aldrin agreed to meet him the next morning in the lobby, but asked Fox not to bring a camera. The next morning, instead of Aldrin showing up in the lobby as planned, the concierge told Fox that he had a phone call. Over the phone Aldrin told Fox that he couldn’t do the interview. Shocked, after the expense of flying out there and putting up a crew for several days, Fox asked why. Aldrin told Fox that Paul Allen had just invested in the Search for Extraterrestrial Intelligence (SETI), and he was labeled a UFO nut. Aldrin explained that he could not jeopardize his initiative of getting funding for a rocket to send citizens into outer space. He then asked what difference his story would make anyway. Fox told him that it takes people of his caliber to come forward to take the phenomena out of the rut that it’s in. That didn’t sway Aldrin, he refused to do the interview. Fox was obviously very disappointed. Ashly Costa and buzz Aldrin during his recent appearance on Dancing with the Stars (Credit: ABC). Buzz’s interesting comments have not ended; on July of 2009 he was interviewed on CSPAN’s Washington Journal regarding the importance of space exploration. When speaking about one of the moons of Mars (presumably Phobos), he said “There is a monolith there. There is a very unusually structure on this little potato shaped object that goes around Mars once in seven hours. When people find out about that, they are going to say ‘Who put that there!? Who put that there! ?’ Well, the universe put it there. If you choose, God put it there.” His point was that there are amazing discoveries to be made in space, but some speculate that he is implying that some of these discoveries may have to do with advanced civilizations from other worlds. If Aldrin does know more than he is telling, just as he expressed to Fox in 1999, he doesn’t seem too keen on sharing any of it with the public. Other brave astronauts have come out with their stories of UFO sightings, and/or belief in extraterrestrial visitation, fellow Apollo astronaut Edgar Mitchell, and Mercury astronaut Gordon Cooper being two of the more famous. 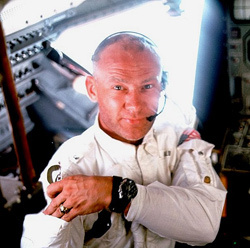 So it would not be unprecedented were Aldrin to share his experience. One wonders what stories he shared with the Rooney’s. Perhaps one day he will let the rest of us in on it. Aldrin on the moon during the Apollo 11 mission (Credit: NASA). I have witnessed UFO’s on multiple occasions here in North Central Texas. I have also observed what some might say were ghosts. I have been careful to describe my encounters with others, as I have avoided potential ridicule. However, I am a firm believer in the existence of hyper-intelligent life in other worlds, and also that of supernatural occurrences here upon earth. 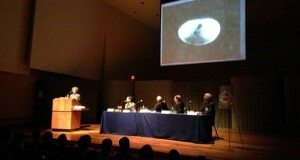 Mr. Buzz Aldrin obviously saw what he believed to be a UFO. Mr. Aldrin’s character is one to be relied upon and respected. Unfortunately, the character of our government is not to be trusted. Would our society go “crazy” as Mr. Aldrin did later state? Not likely. I believe that there are some very key answers to our very existence past and future available if we only embrace the unknown and make it known to us. Here’s all the evidence on the Apollo-11 translunar coast ‘UFO’ encounter.